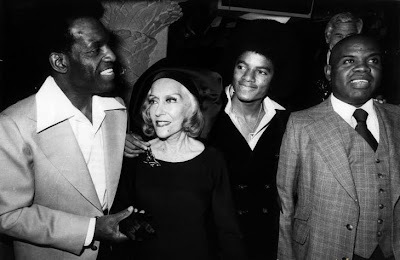 1977 - The cast of The Wiz hold a party in Michael’s honour at the Studio 54. 1979 - The Jacksons perform Destiny tour in Columbus, OH[US]. 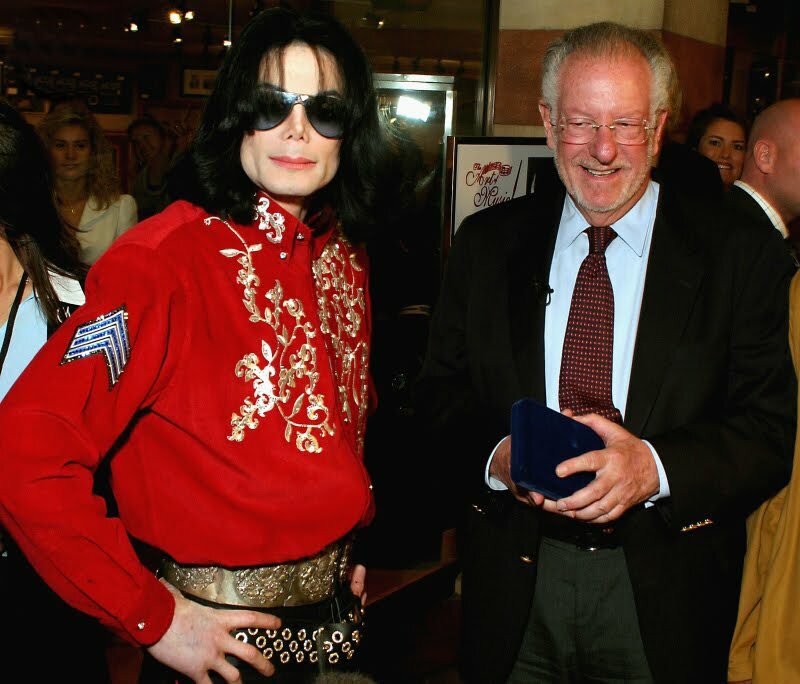 2003 - Michael Jackson is awarded the Key to the City of Las Vegas, Nevada by the Mayor Goodman at Art Of Music Store. He promote What More Can I Give. Over three hundred fans were on hand to see Mayor Oscar Goodman present Michael Jackson with the key to the city of Las Vegas in a ceremony held at the Art Of Music Store at the Desert Passage Mall in Vegas. In true Michael style, the King of Pop arrived close to an hour late, accompanied by his friend Mark Lester & manager Dieter Wiesner. The ceremony began about an hour later than the original 3:00 time with the King Of Pop being introduced by one of the leading tribute artists, E Cassanova. Michael spoke briefly, thanking the Mayor and the audience, telling the fans that "I love you more." He then walked through the crowd, greeting the fans and signing autographs. Michael definitely looked 'Bad,' wearing silver boots, black pants, red beaded applique shirt and double belts along with the traditional sunglasses! The presentation was under way as E'Cassanova said a few words to Michael´s adoring fans! One of the keynote statements E'Cassanova made to the screaming crowd was "Michael Jackson fans don't die, we multiply!" He then introduced The Mayor Goodman who then presented Michael Jackson with the Key to the city. Michael made a brief speech by thanking the fans for their support. Michael also collected various signs and banners from the fans. But after the ceremonies, and away from the crowd, Mayor Goodman told MJ how much he belives in him. He told MJ that he was so proud that Michael would come to the city, and be accessible to the public. He went on to say that MJ is one of the greatest people in the world, and he was going to make it his business to tell everybody how special MJ was. And would you believe it... he then begged MJ for tickets (for his daughter) to the RMAs. Michael Jackson returned to the Art of Music store Saturday evening to be present at a special sale of his memorabilia. The holders of pre-purchased passes were given the opportunity to buy items and have them signed by Michael. Dennis Rodman was among those present at the event. The wide, clear glass windows afforded fans a great view of the goings - on inside. Typical of his good heart, however, Michael did not abandon the fans who gathered to see him. He stepped outside twice to meet and greet fans and sign autographs. Michael was in wonderful spirits and was excited to meet with the fans once again. Tee shirts were also given out to the fans, featuring the RMA award logo on the front and the 'What More Can I Give' art on the back. Michael Jackson's roots run deep in Las Vegas, now he holds a key to the city. Michael Jackson never performed an actual ticketed show in Las Vegas during his adult career. But he had a high profile in the city as a frequent visitor and, also a resident. His association with Las Vegas began during the Jackson 5 era and continued to recent recordings in the studio at the Palms. 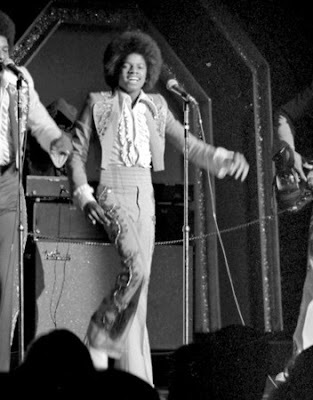 A teenage Jackson and his brothers performed on the Strip as the Jackson 5, starting in April 1974 at the original MGM Grand (now Bally's). They performed at the hotel several times that year. The closest Michael came to a ticketed performance was in February 1994, when "The Jackson Family Honors" was taped in front of a live audience at the MGM Grand Garden arena for an NBC special. This entry was posted on 25 October 2010 at Monday, October 25, 2010 and is filed under 1977, 1979, 1988, 2003 . You can follow any responses to this entry through the comments feed .